I can’t even begin to count the ways that my life here is different than it is at home. Everyday tasks and errands have taken on a much larger role in my day to day life because every outing involves a lot more research/work/planning than anything does at home for many reasons– not the least of which being that I don’t have a car and my smartphone doesn’t have service here. In a lot of ways, it is terribly frustrating to not be able to Google every little thing I need to figure out while I’m out and about. On the other hand, I am one of the few people at any given monument/attraction who doesn’t have an iPad or cell phone permanently perched at arm’s length so as to document every little detail–all the while missing out on so much of the experience. I am appreciative that I spend my wandering time mostly un-distracted, especially in Venice where I am pretty familiar with general directions. I don’t have to spend my time staring at a map or a guidebook anymore. I get to read all the signs and just enjoy the scenery. I know which vaporetto ticket machines will take a credit card or not. I know which ATM’s are trying to trick and scam tourists. I get to people-watch and read the menus of every little cafe that I pass by. The majority of my time and life is not how it appears on Facebook or other social media sites. Real life is raw, and not always photogenic or worthy of pinning or tweeting and whatnot (which is why this post does not contain photos). I think it is important to remember the fun and easy experiences (Facebook-worthy, etc.) along with the days that are filled with tears and loneliness. It’s what makes an experience meaningful. When so many things are so very different, you tend to seek comfort in what is familiar. 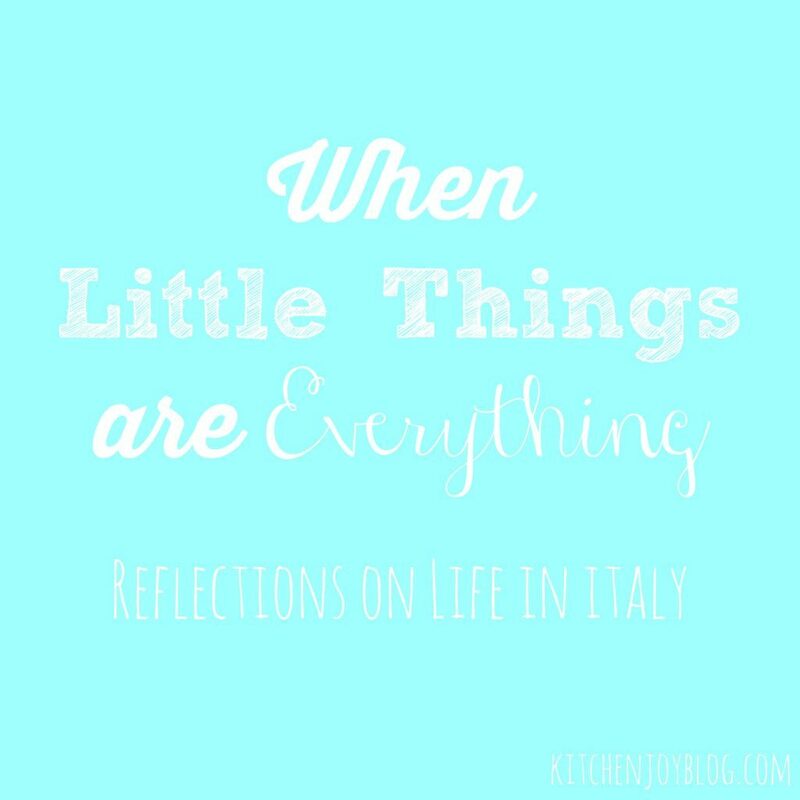 For me, that has been trying to cook and bake a few of our favorite foods from home in between our rather strictly Italian menus. Banana Bread, in my opinion, is the ultimate remedy for a day where you feel like you are out of place, and nothing really feels like home. Crepes do a stand up job at consoling one’s frustrations after having been yelled at in Italian for the umpteenth time by the very unpleasant landladies. Cinnamon-Swirl Bread makes for a quick breakfast on-the-go when you have to try and make it to the the market and back before the rain starts. Roast Beef with Red Wine Sauce is the perfect way to fill up before a Sunday evening stroll in Venice. in all of her American-made, nothing-sticks-to-it, bakes-like-a-champ glory. While at home, these all just seem like things, but here, they’re what make this foreign apartment feel and smell and taste a little bit more familiar. While I love all the new ingredients and foods we’ve been trying and adding new favorites to our arsenal, there’s something fun about trying to make something that you’ve made a million times before but this time you’ve got to figure it out with strange ingredients, measurements, and substitutions. It never tastes quite as good as at home, but it’s close enough for now. What recipe reminds you most of home?